With boat fishing colours like black red, black and orange, copper and copper & red have been working. In flies den vanliga, the brown fly and different black and red variations have been delivering. And yes of course the Swedish fly, which our guide Isak tied inspired by great success of Swedish national team in the FIFA World Cup. 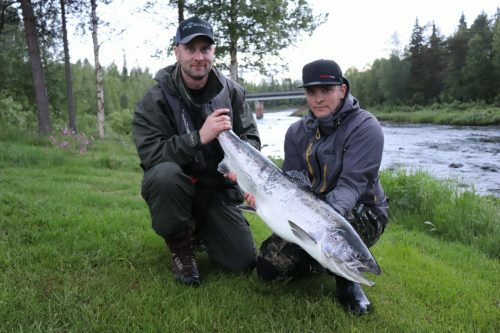 Happy guests after new record salmon.